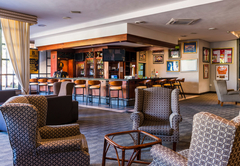 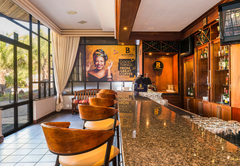 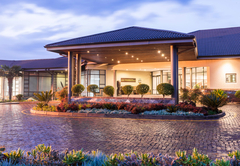 aHa Kopanong Hotel is a highly recommended Benoni hotel providing accommodation in 165 guest rooms for tourists visiting the East Rand region. 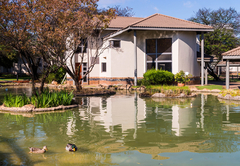 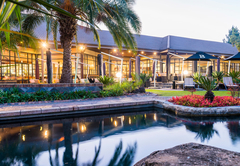 Situated in Benoni, the Kopanong Hotel and Conference Centre is found within a well maintained country estate. 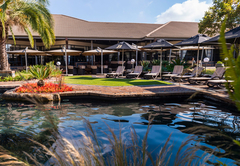 The manicured gardens and quiet atmosphere add to the ambience of the venue while it is within close proximity of Johannesburg and surrounding areas. 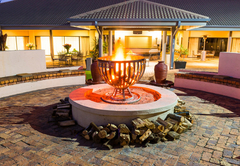 The Kopanong Hotel has 56 fully detached chalets (168 bedrooms), each with a traditional African feel. 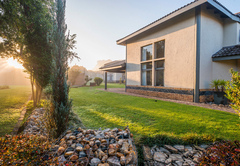 Each chalet has three individual rooms with private entrances which can, for group bookings, be opened up via inter-leading doors to allow complete access, transforming the rooms into a luxury villa. 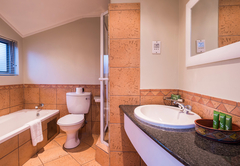 This suite offers a lounge, dining area and small kitchen, as well as a bedroom with en-suite bathroom and shower. 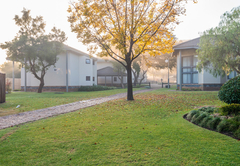 The suite has a lounge, dining area and small kitchen, as well as an upstairs bedroom with en-suite bathroom and shower. 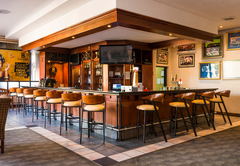 The tastefully decorated Moshate Restaurant offers diners a warm and welcoming atmosphere. 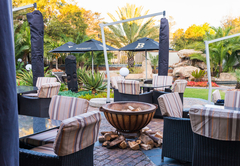 Our chefs use only the freshest ingredients to provide dishes that are served with continental flair. 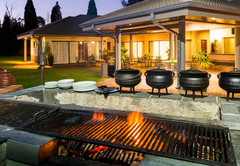 Prior arrangements can be made for Halaal and Kosher catering. 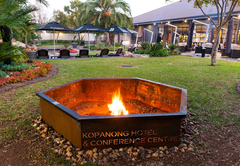 Response timeaHa Kopanong Hotel typically responds to requests in 5-10 minutes.